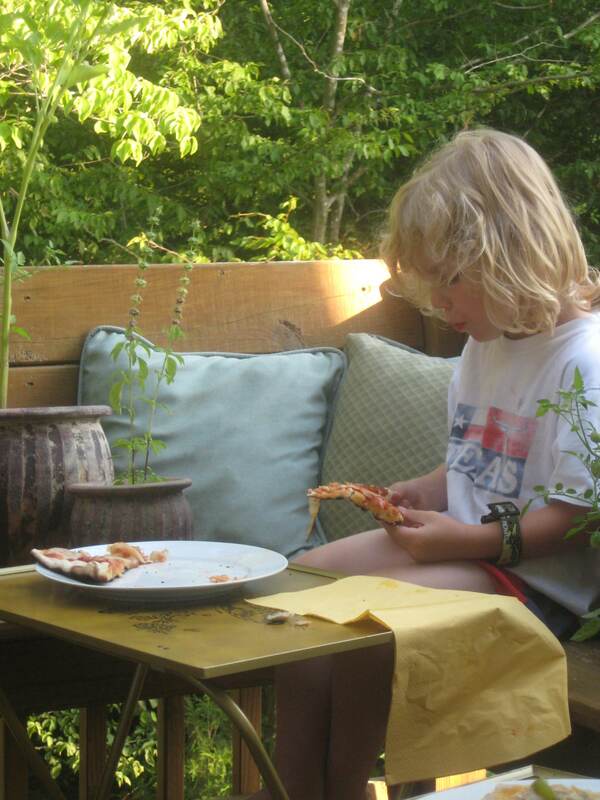 My youngest, for another month, trying to will himself to take a bite of the grilled pizza we had just made. He gives me such trouble come mealtime! If it’s snacks, then he is hungry, but put a meal in front of him and he wont touch a thing! It’s now a rule that he can not get up from the table until he at least tries a bite of everything…not sure if this is more of a punishment to him or to me! Crazy thing is, after he takes a bite he will say he likes it, but then wont eat not one more bite! 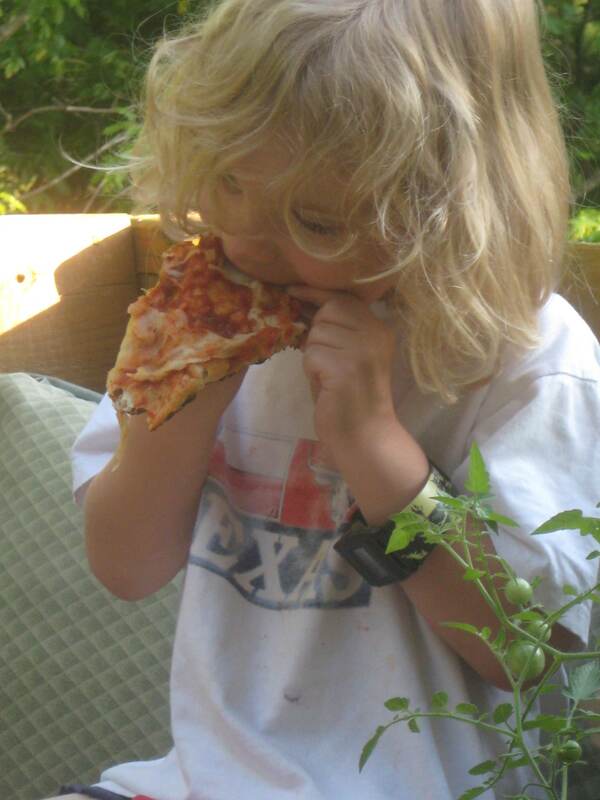 This picture is of Henry actually trying a bite of the pizza….notice he’s eating from the crust, not the front of the pizza! This child is determined to do everything just the opposite of the way Mom would like for him to! 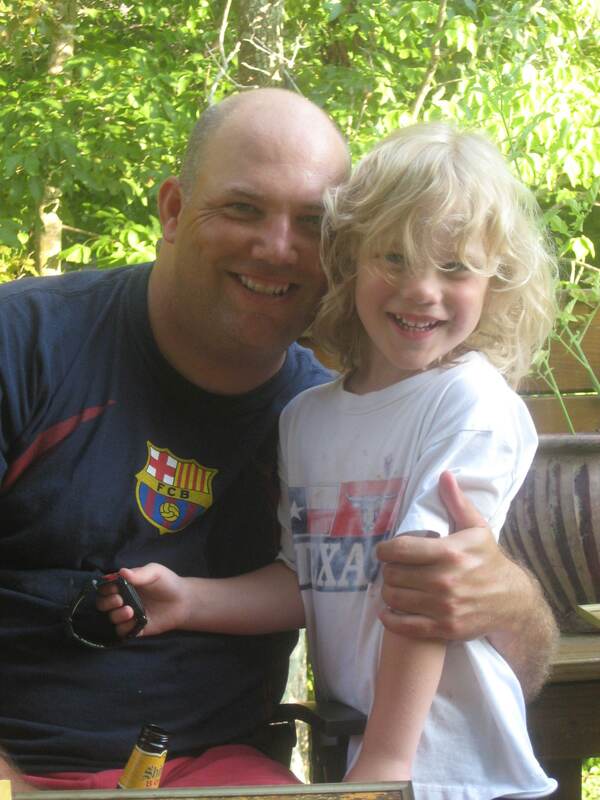 And don’t think I haven’t tried reverse psychology on the kid, I have, it just doesn’t work! I’ve told him I was going to take away his favorite toys before (for not behaving), and he went and got them all and brought them right to me! How do you get the upper hand on that??? Good thing he’s so darn cute, that’s all I have to say for the little turkey! Just one more picture! 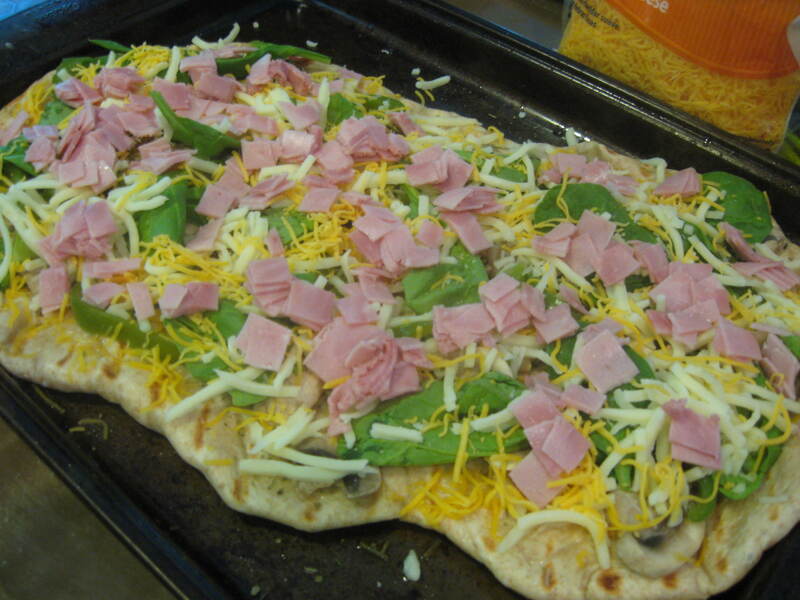 Thought you might like to see the grilled pizza we made for dinner that night..it was actually really good! 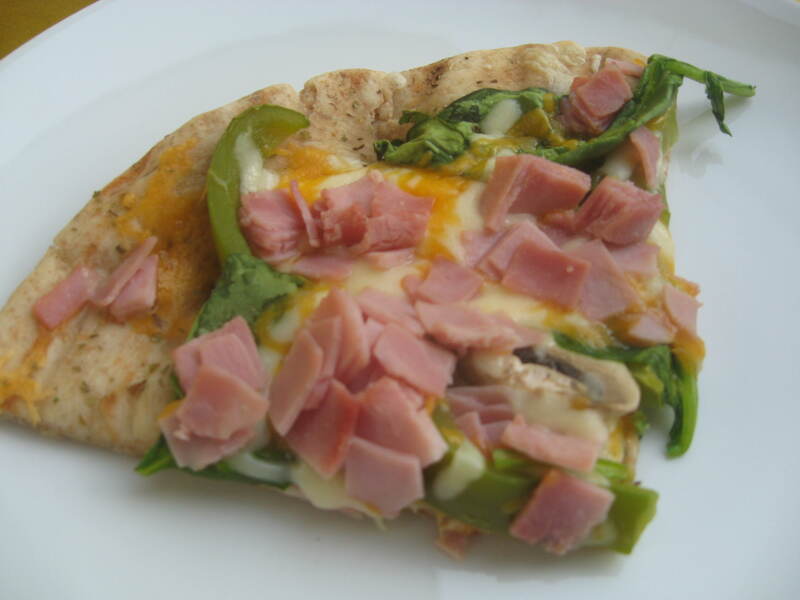 Olive oil, spinach, green bell peppers, mushrooms, ham and cheese..how could that not be good? Definitely one we will make again!